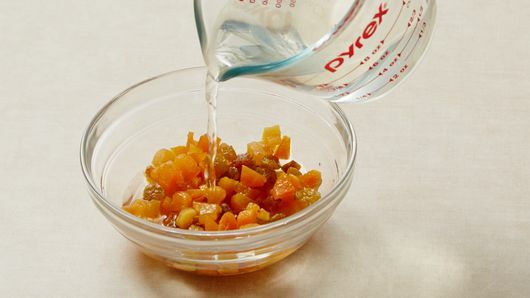 In medium bowl, pour 1 cup boiling water over apricots and raisins. Let stand 5 minutes; drain. Lightly sprinkle work surface with flour. 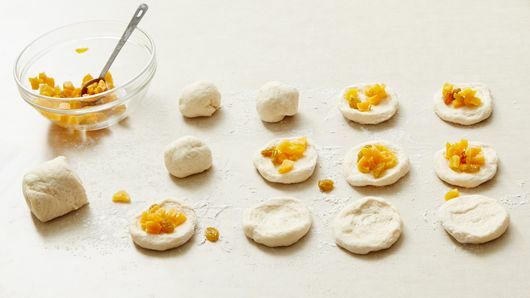 Remove dough from can; cut 2-inch piece from one end; set aside. 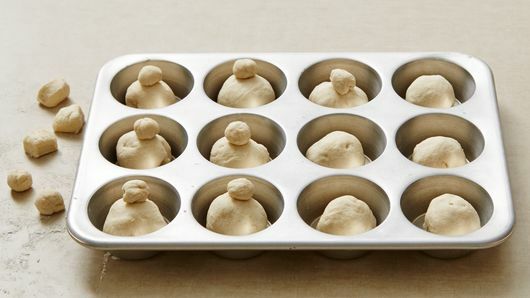 Cut remaining dough into 12 (3/4-inch thick) slices; press each slice to form 2 1/2–inch round. Spoon rounded teaspoonful of apricot mixture onto center of each round. Bring dough up around filling to cover completely; pinch edges together to seal; shape into ball. Place 1 ball seam side down in each muffin cup. Cut reserved 2-inch piece of dough into 3 (about 3/4-inch) slices. Cut each slice into quarters; roll into balls. Place 1 ball on top of dough in each muffin cup; press in lightly. Brush with beaten egg. Bake 20 to 24 minutes or until golden brown. Cool 5 minutes. Meanwhile, in small bowl, mix butter, honey and orange extract until well blended. 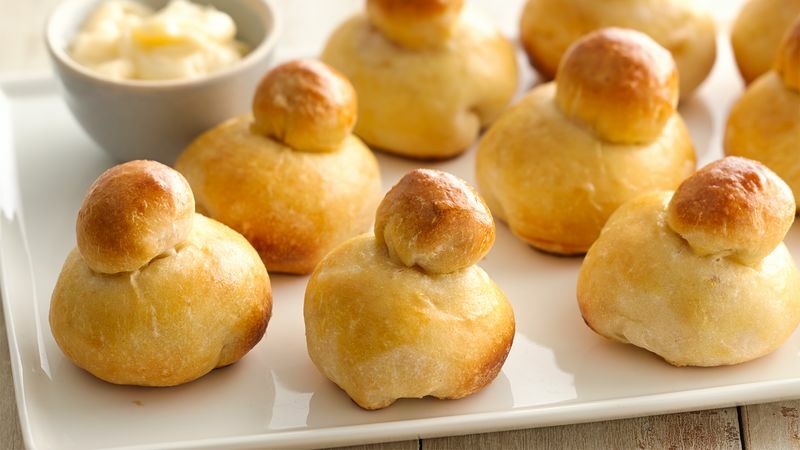 Serve warm brioche with orange honey butter.